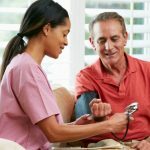 You are here: Home / Vascular Disease / Hypertension (High Blood Pressure) / High Blood Pressure and Headache – Is There A Relationship? Does high blood pressure cause headache? This has been the subject of much debate over the years and the subject of scientific investigation. 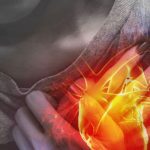 In this article we will examine the evidence and see if there is an association between high blood pressure and headache. An article about blood pressure guidelines is referenced here. Importantly, here we are talking about general increased blood pressure and not a hypertensive emergency (blood pressure higher than 180mmHg) that is discussed a little later. An article outlining some new treatments for extremely high uncontrolled blood pressure is linked here. Many articles, book chapters and other publications have previously, or continue to report that there is an association between high blood pressure and headaches. It has certainly been documented that very, very high blood pressure can cause headache, but does high blood pressure to a lesser degree cause headache? Many of the early studies that looked at this failed to account for a large number of other possible causes of headache. Recently better-designed studies have looked at this and most have demonstrated that there is not an association between the high blood pressure and headache. This is even true for moderate or severely elevated high blood pressure. The studies appear to be believable and have used robust methods of blood pressure monitoring including wearable blood pressure monitors. Can Headache Cause High Blood Pressure? Patients with active headaches may well have high blood pressures. Of course the physical stress of a headache and any associated pain is an obvious cause of high blood pressure. In these cases, the blood pressure is expected to return to baseline levels once the headache has subsided. 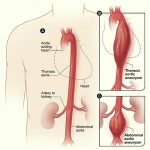 Pheochromocytoma is a rare tumor and a rare cause of uncontrolled very high blood pressure. The classic triad of things associated with a pheochromocytoma is episodic headaches, palpitations and sweating. The headaches are typically associated with palpitations, sweating and anxiety. These symptoms, along with the markedly elevated blood pressure are due to hormones / biochemical substances produced by the tumor. The diagnosis is typically made with blood tests. 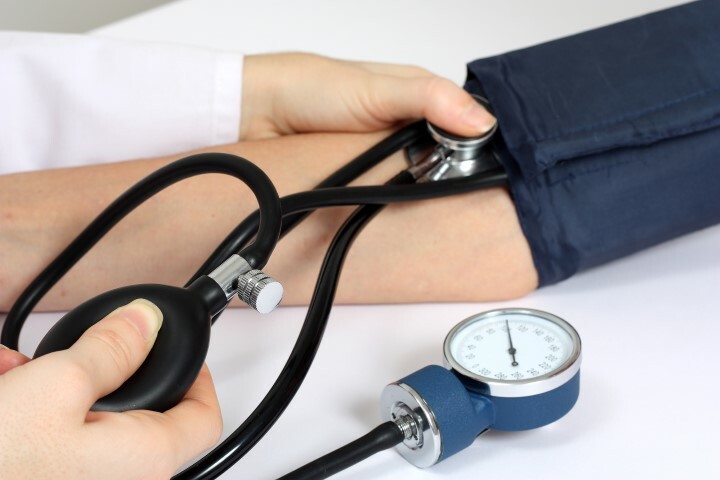 High blood pressure crisis is known as hypertensive crisis. This is typically defined as blood pressure greater than 180 systolic (top number) and 120 diastolic (bottom number). This is typically a severe uncontrolled episode in patients that usually have a history of blood pressure. Many symptoms can be experienced with the presentation of a hypertensive crisis and typically patients will present to hospital. Headache is one of these symptoms, with others including neurological issues and chest pain. If there is evidence of damage to organs such as the heart, brain or kidney, patients will typically require admission to an intensive care unit and IV medications to control blood pressure. Pre-eclampsia and eclampsia are an important, although uncommon cause of uncontrolled blood pressure episodes in pregnancy. High blood pressure, abnormal swelling, and protein in the urine characterize pre-eclampsia. In addition there are a number of other clinical and lab features. Severe and persistent headache is an important part of the disorder. For this reason, the diagnosis should be ruled out in all pregnant women with headache. High blood pressure at moderate (140’s) or even severe (160’s) levels are not thought to be a cause of headache; however, dangerously high levels of blood pressure (>180’s) may well be associated with headache as a symptoms. Uncommonly, there may be other conditions that can lead to both high blood pressure and headaches as symptoms. Wow! In the end I got a web site from where I be capable of genuinely obtain valuable information concerning my study and knowledge. Great web sіte y᧐u havе here.. It’s difficuⅼt t᧐ find high quality writing like yours these days. I really appreciate individuals liҝe you! Take care! !